Jacqueline Woods is the Chief Marketing Officer, IBM Global Business Partners. She drives marketing efforts around IBM's channel business, with a focus on growing business partner momentum in IBM Cloud and AI technologies.In this role, she leads the new IBM PartnerWorld program that enables IBM partners of all types (legacy, born on the cloud, startups to large ISVs) to build high-value digital capabilities, increase their speed to market and help them create new revenue streams. Previously, she was the CMO of IBM Global Financing where she led Marketing & Communications, Strategy, and Offerings Development. She was also responsible for developing C-Suite relationships, specifically for CFOs and CMOs, and is an expert in helping companies integrate business and technology priorities across divisions and enterprises to accelerate revenue growth. Prior to this role, she was the Global Vice President heading Cloud, Analytics, Mobile, Security, and Industry solutions Marketing for the IBM System division. 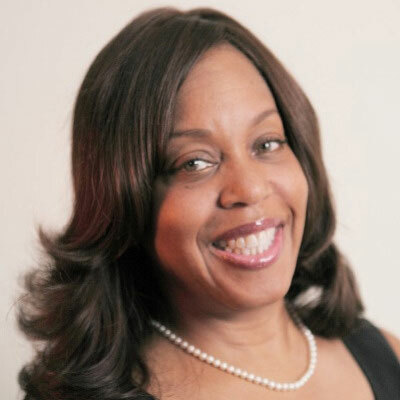 Jacqueline has over 20 years of experience in technology, working at top firms such as Oracle, GE, and Verizon. She has held P&L and senior leadership roles in Strategy, Sales and Business Development in commercial and consumer based Fortune 500 companies covering Comms, Financial, Tech and Industrial sectors. I am proud of many accomplishments IBM Global Business Partners had over the past year. We have simplified and transformed our co-marketing program. Encouraged modern and digital marketing best practices. I also met with the top 100 marketing executives of our partner firms to learn their needs; what's working and not working, and also what things we could improve upon. I also deployed the competency program to help partners understand the value of investing in their marketing skills development. Last but not least, I am evangelizing our technology and the value of our partnership programs to industry forums and corporate audiences. My goal is to improve the efficacy of IBM's Business Partner marketing programs and to utilize our marketing investments to help partners generate higher demand, develop better quality leads, lower cycle times, and increase win rates. Ultimately our goal is to grow revenue and win new clients, inspiring our partners to focus on IBM and drive both of our businesses to new heights. We want to provide our partners, of all types, the best demand generation and digital marketing programs and expertise in the industry. There are several reasons why I love Maya Angelou. She was abused and victimized by a family member at a young age. She shares the story in her memoir "I Know Why the Cage Birds Sing". I think about her strength and character during a time when it wasn't common for women to have a voice. She had the courage to stand just like many women in the #metoo movement feel compelled to tell their story. She went on to write a poem "Phenomenal Women" which speaks to women of color and how they should appreciate themselves and show self-love. The advice to my 16 year old self is that no one will love you, care for you , and advocate for you, more than you have to for yourself. If you don't learn how to advocate for yourself whether it be personal, or work related, you cannot expect that others will. It's important to stand up and speak out for yourself. I would like to be a data scientist. Storytelling is hugely important and when you can match salient points to a story, there is nothing more powerful. Mind of a Strategist-- Kenichi Ohmae I like this book because it discusses marketing leakage and efficiency and inefficiency in the system. In the book, those inefficiencies are called "leakage". The system must be optimized to ensure that you are effectively managing the leakage. This book last allowed me to look at various situations through the lens of are we optimizing our practices, are we minimizing the leakage.